At the World Championships 2013 Dawid Kubacki got a bronze medal in team competition on the jumping hill of Val di Fiemme; but today the Polish – with a passion for everything related to "flight", from modeling, to piloting real planes – won (271.1), disrupting the plans of the "samurai" Ryoyu Kobayashi. 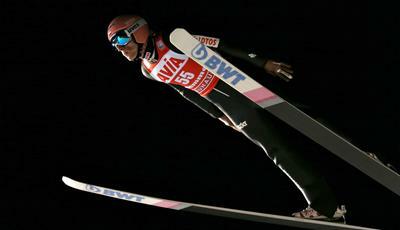 He missed the chance to become the first ski jumper in history to win seven World Cups in a row. The Japanese closed seventh (249.2) – victim of the 'curse' of the number 7 – screwing up his plans of glory: "It’s simply Ski Jumping, you can not always win," said the Japanese. 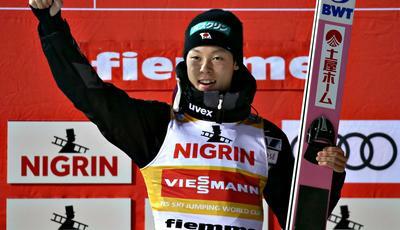 Kobayashi still has a clear lead in the overall World Cup standings, he will have time to 'make up for it'. Kubacki takes his first individual victory in the World Cup and steals the show also to his teammates, even to the very titled Kamil Stoch, who came third (256.9); second place for the Austrian Stefan Kraft (257.2). The Polish "Owen Wilson", considering the resemblance to the actor, resembled more to Tom Cruise in Top Gun today, given his performance on the jumping hill. 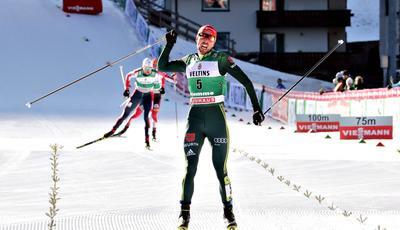 He was able to perform two almost equal jumps in front of 5,000 fans; among them there were also many Poles who came to support their idols: "I’m very happy with my jumps in Val di Fiemme. The landing of my first jump was not good, but I managed to improve it in the second. You have to fight until the end, until the last jump. And today I won. I worked hard for this race: the first place is the result of the hard work. Since I was a child, my passions have always been all related to air and flying, i.e. Ski Jumping”. Revenge is a dish best served cold, and Kubacki took his revenge after yesterday’s second position. 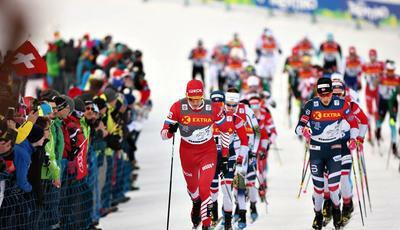 The committee of Fiemme was really satisfied for these days; Ski Jumping returned to Val di Fiemme after six years. The FIS race Director Walter Hofer stated: "We are very satisfied with the facilities, everything has been organized in an excellent way. We had a lot of spectators and it's a good thing, the atmosphere was nice, we're very satisfied with how these events went. 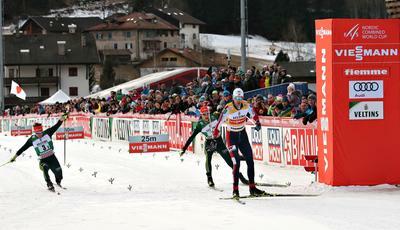 In the future, I think Val di Fiemme should be included in the long-term programme. The "cradle of Nordic skiing" is also one of the candidates for the Olympics... "And I hope it will succeed, but the other candidate is Sweden which has very similar facilities. We have seen that there are also competitions for children, and I think it would be a good thing to attract more spectators even for these small competitions. I am convinced that in the future we will have great Italian jumpers".